Abbie and Matt’s wedding is absolutely genius. Why? One word: tapas. If I could plan my own big day again, this is the menu I would want. Nom. 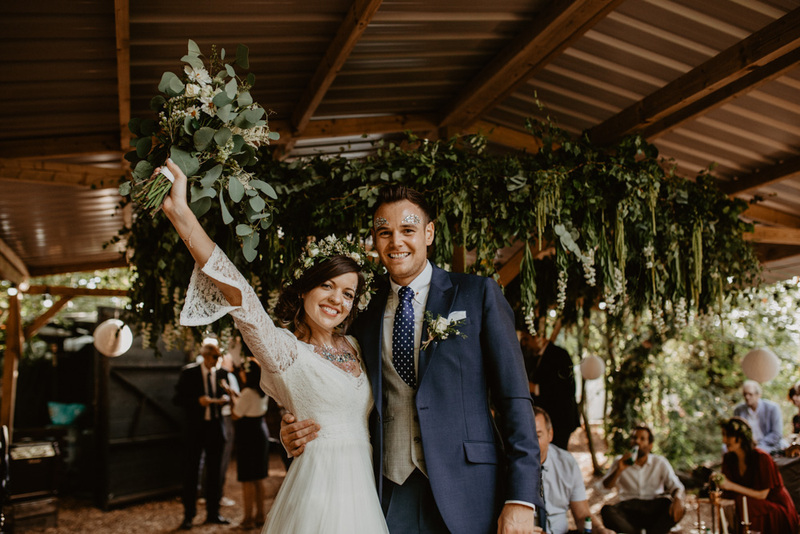 And the way they manage to bring a Spanish vibe to an industrial Nottinghamshire venue is fabulous, with deep burgundy Rewritten bridesmaids dresses, Mallorcan vodka wedding favours and clever table styling with Spanish tiles and mini olive trees. Not forgetting how fabulous bride Abbie looks in her Essence of Australia dress and slick of red lippy. This truly is one fabulous fiesta. Dive in, darlings! 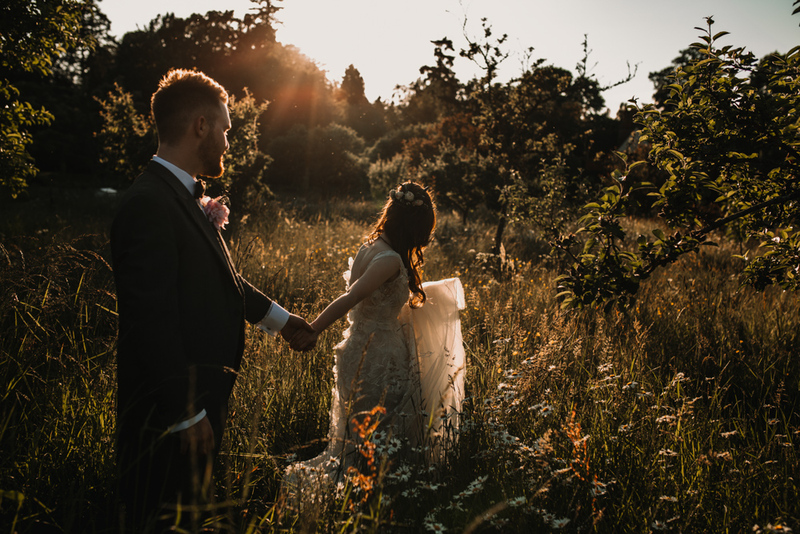 When you are blessed with beautiful light and the incredible surroundings of Hever Castle to have your dream pre-raphaelite mood wedding, the results are mind-blowing. Add the talents of Carla Balin Photography and a couture wedding dress of dreams full of exquisite flower applique detail and you have a gorgeous wedding to sink into on this chilly Monday morning. 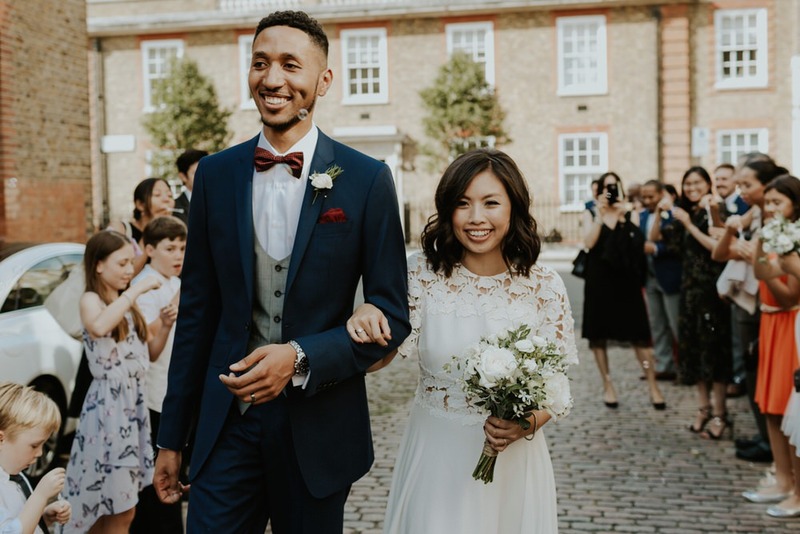 It’s so lovely to see a coastal wedding gracing our pages, especially as it’s right here in the UK. The Gallivant in Camber to be exact, where the wedding party crossed the sand dunes, set off smoke bombs and looked totally fierce. Epic Love Story also captured some more intimate shots of Rachel & James dancing in the surf and walking off into the golden sunset which are just off the chart adorable. The homemade cake, DIY decor and laid back vibes of this wedding is absolutely incredible as is the fashion. I am especially jealous of Rachel’s bright pink Hangisi Manolo Blahnik shoes, and doesn’t she look stunning in her Jesus Peiro gown. 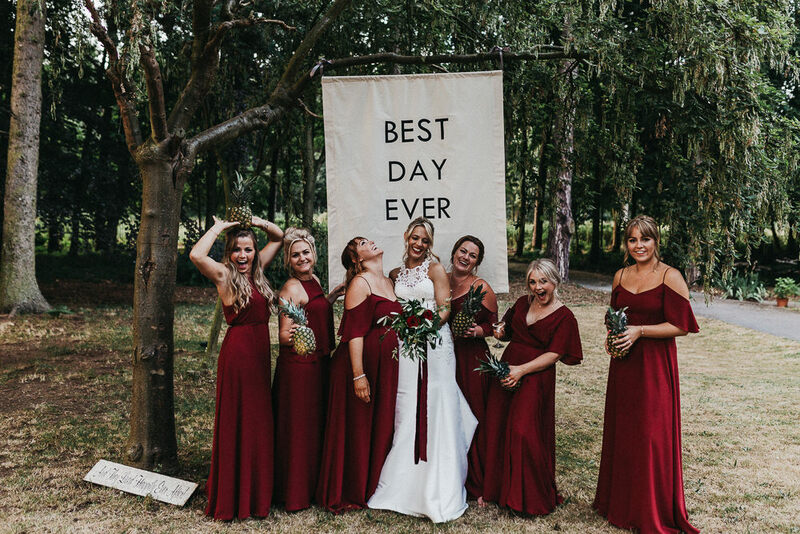 Just in case you’ve been hiding under a rock for the last few weeks – this May the lovely Rewritten girls are taking their bridesmaids dresses out on the road – hitting Northern Ireland, Scotland, Yorkshire and Surrey to bring a little bit of something different to you and your bridesmaids. These dresses are stylish, beautifully made and most definitely something your girls will want to wear time and time again after the big day. Over the last few weeks we’ve been sharing details of the #RewrittenRMWRoadtrip which is happening in just a few short weeks. 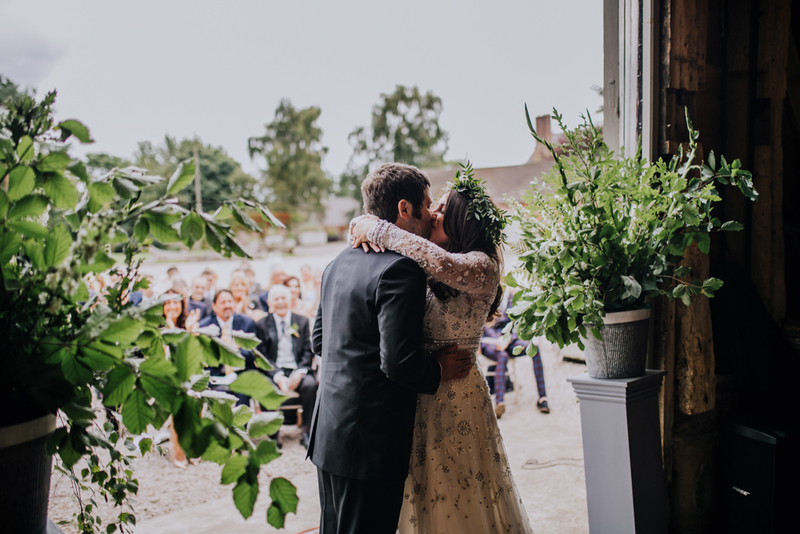 The Rewritten girls are taking their beautiful bridesmaids dresses out across the UK and today we’re sharing details of their Glasgow visit to the gorgeous Melle Cloche Boutique. 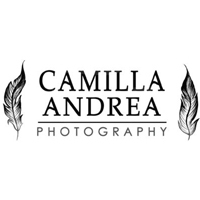 As soon as we discovered Bridesmaids dress brand, Rewritten, we knew that they would make waves in the wedding industry. 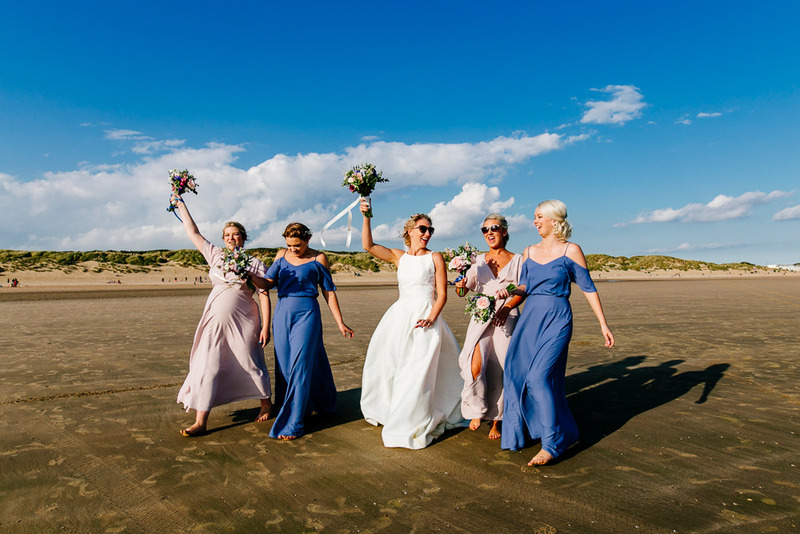 Fran and Katie are stylish, lovely and talented in equal measures and their offering is something completely fresh to the world of Bridesmaids dresses. The Rewritten collection contains six signature styles (think clean, simple silhouettes) in an edit of the most gorgeous, current shades. Today we’re really excited to be sharing the most recent colours to join the collection – Oyster, a soft pinky purple shade with the most beautiful pearly sheen, and Marine, a minty green with a tiny hint of tropical blue.